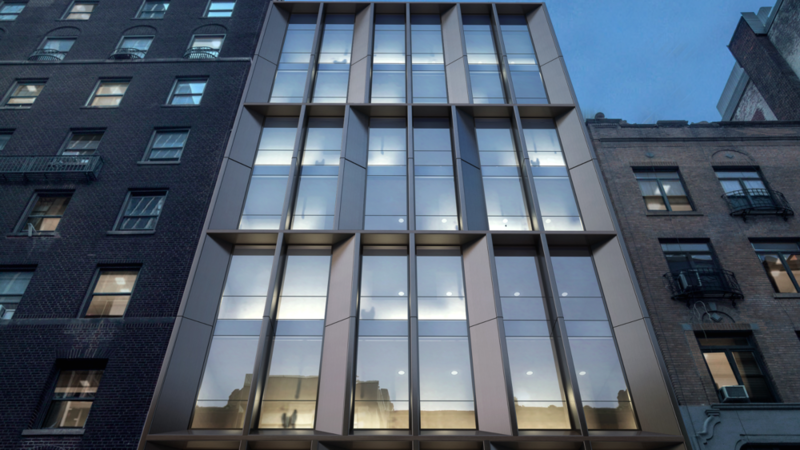 New Hotel building is located just off of 5th avenue on west 55th street. With a lot size is 37'-6" X 100'-5". The gross building area is 32,000 SF with total of 75 quest rooms. Building has 13 stories with height of 135 feet. The front facade has deep recessed dark antique bronze cladding. Ribbed glass at the storefront works as a light screen. It allows light in but at the same time blocks the view form the street.